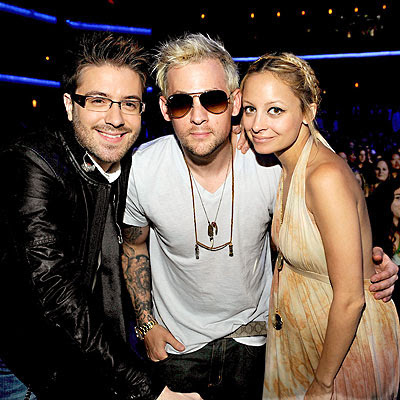 Nicole Richie and Joel Madden were pictured lastnight (May 20th) inside the American Idol 2009 final. 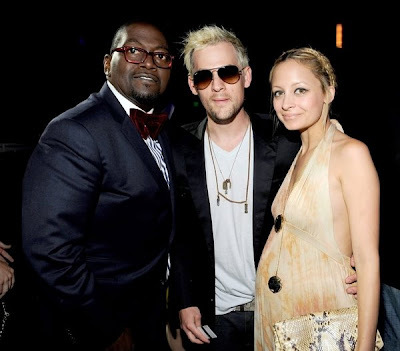 Nicole and Joel were both looking really great! Nicole wore a gorgeous tie dye maxi dress. Coinsidently it is very similar to a dress by C&C California which i posted in a previous blog today. 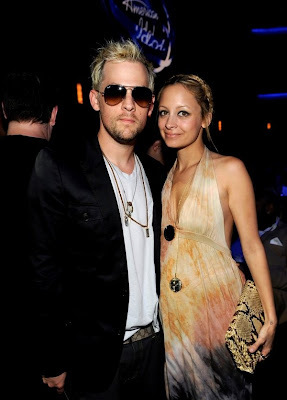 Nicole Richie also took the chance to showcase some of her House of Harlow 1960 jewels, and she layered on the stack rings, wore the leather sunburst necklace, along with the popular gold medallion necklace and stacked a few of the leather Aztec bangles. I don't have much to say about American Idol and the final, as i've not been watching it. 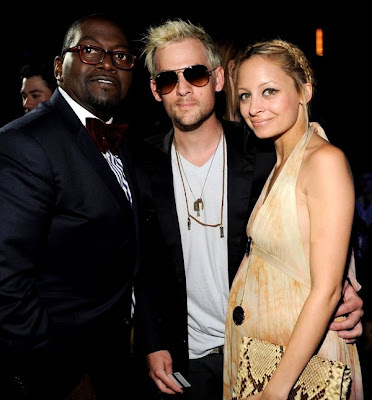 But i know Nicole and Joel have been big fans of this season of American Idol, so i hope their favourite won!